I found The Qabalah Workbook for Magicians to be very imforative and not just for magicians but for anyone in the CraftWitchy. In the chapter on how to use the book the author discusses such things as altar cloths, tarot cards, perfumes, candles and more. While these are geared to setting up an altar for the different Sephiroth, the information could be expanded for use on just about any alter. For one not overly familiar with Qabalah I found the information to be very thorough and easy to follow. After the chapters covering generalities and how to use the book it is divided into three major part, one for each of the three triads. For example the first triad consists of Kether, Chokmah, and Binah. Each one of these has chapter devoted to it. From there the book discusses how to set up an altar for those aspects of the tirad. For each the author suggests zodiacal and planetary representations, tarot cards, perfumes, magickal weapons, precious stones, god or goddess statues, animals real or imaginary, plants real or imaginary, magical power and additional associations. Something that impressed me with this book was the way the author handles the associations connected to the Sephiroth. She asked the reader questions such as what would be a good representation of this or that aspect. In addition she suggested the practioner to research the chosen items to find out why it would or would not be appropriate. This book does not stop at simply setting up an altar, the author goes on to suggest appropriate clothing apparel for each Sephiroth. When all is set up the author presents exercise to help the magician to learn each Sephiroth and to understand the correspondences. The book concludes with additional exercises and charts of correspondences. In addition to all this information the author also list a website for additional information and links. I am not a magician, so I am reviewing this book as one not overly familiar with the workings of magicians. 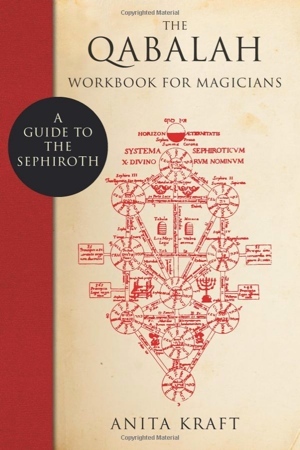 However, I found this book to be highly informative for anyone interested in learning more about Qabalah and connecting to the Sephiroth. Personally, I found this book to be a very informative addition to my library.